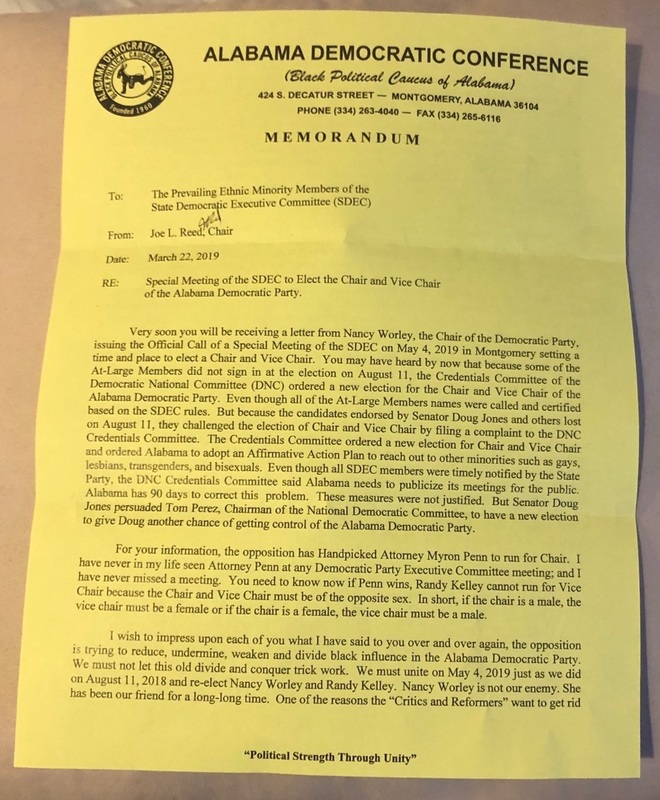 According to a letter obtained by Yellowhammer News, Alabama Democratic Conference chairman Joe Reed attacked Sen. Doug Jones (D-Mountain Brook) and blamed him for the Democratic National Committee’s call for the Alabama Democratic Party to hold new elections for chairman and vice chairman. 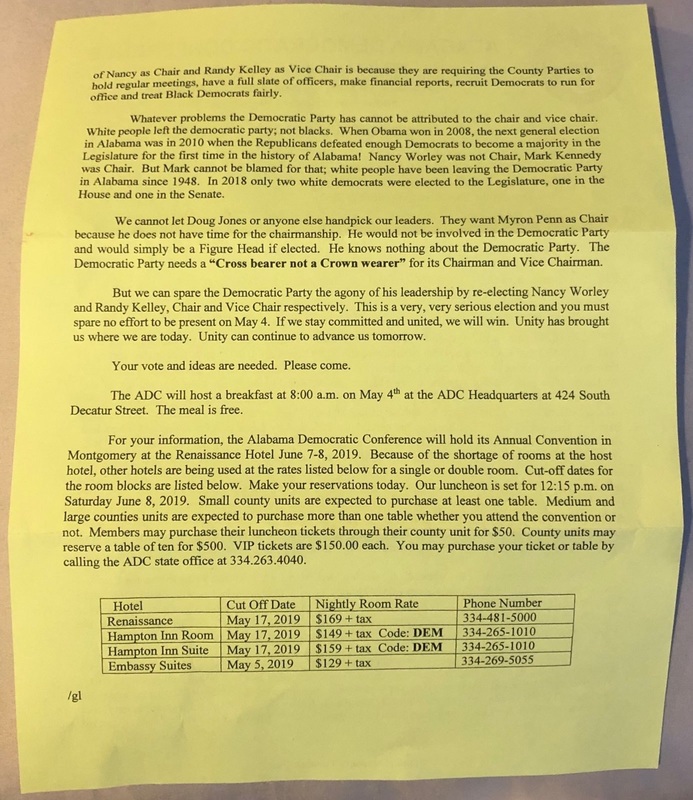 Details of the letter dated March 22 and addressed to “The Prevailing Ethnic Minority Members of the State Democratic Executive Committee (SDEC)” first surfaced in a Montgomery Advertiser story last week. Reed called on members of the ADC to “unite” on May 4, 2019, the tentative date for elections, to re-elect current chairwoman Nancy Worley and vice chairman Randy Kelley. However, the letter also blames “white people” for the Alabama Democratic Party’s shortcomings. After offering details of the call for new elections, Reed accuses Jones of persuading Democratic National Committee chairman Tom Perez of giving Jones “another chance” of gaining control of the Alabama Democratic Party. The ADC head does address the current problems of the Alabama Democratic Party, which he assigns the blame in part to “white people” leaving the party. Also in the letter, Reeds reminds recipients they are “expected” to purchase tables for a luncheon for the ADC’s annual conference later this month, with those expectations set by the size of the county and prices ranging from $50-$500.